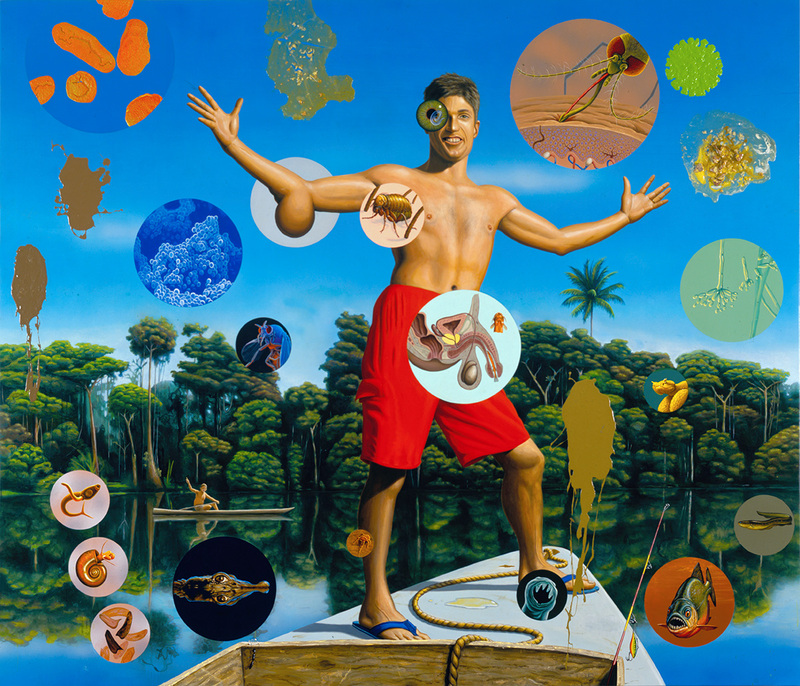 Tropical Hazards, 2000, oil and acrylic on wood, 72 x 84 in. 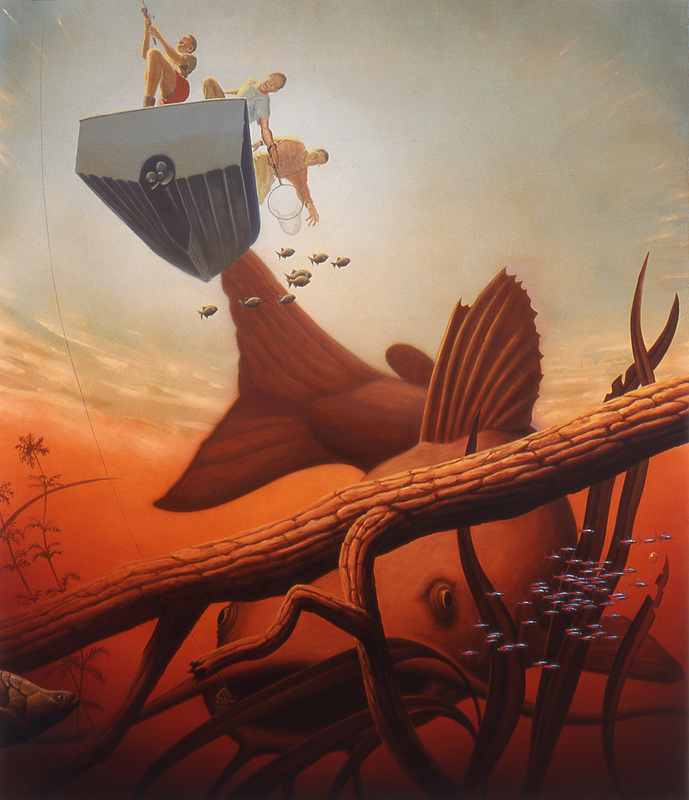 The Allure of Land, 2001, oil on wood, 84 x 72 in. 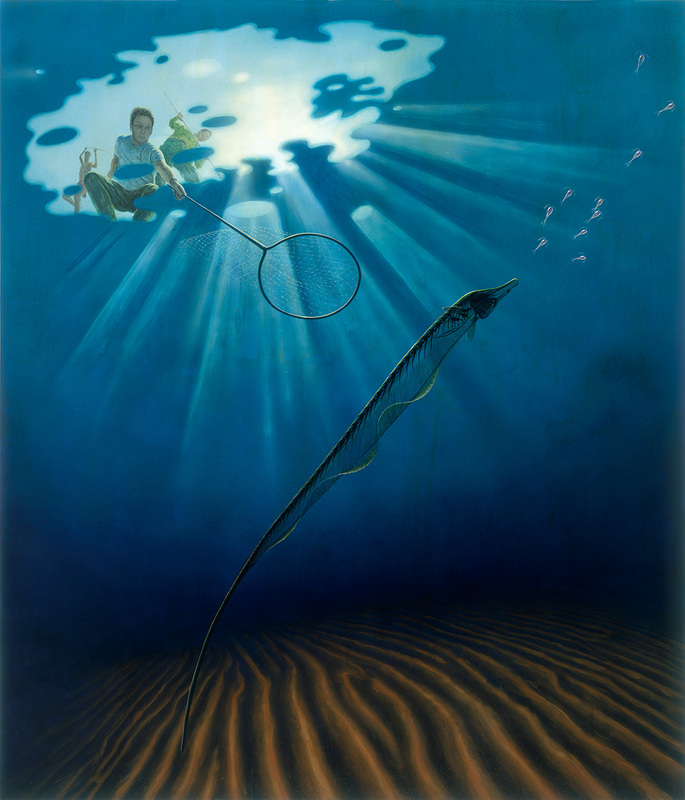 Bass, 2001, oil and acrylic on wood, 56 x 44 in. 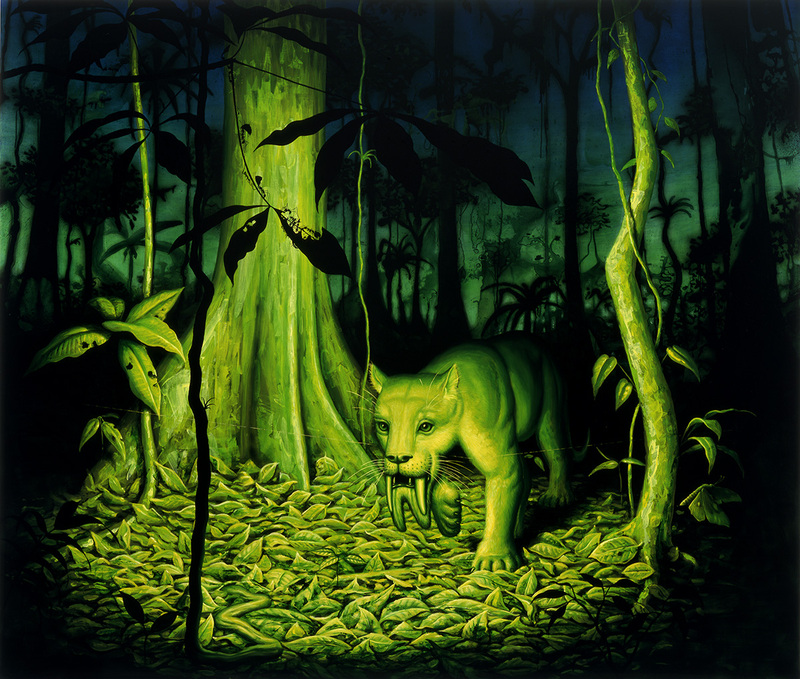 Camera Trap: Thylocosmilus, 2001, oil on wood, 72 x 84 in. 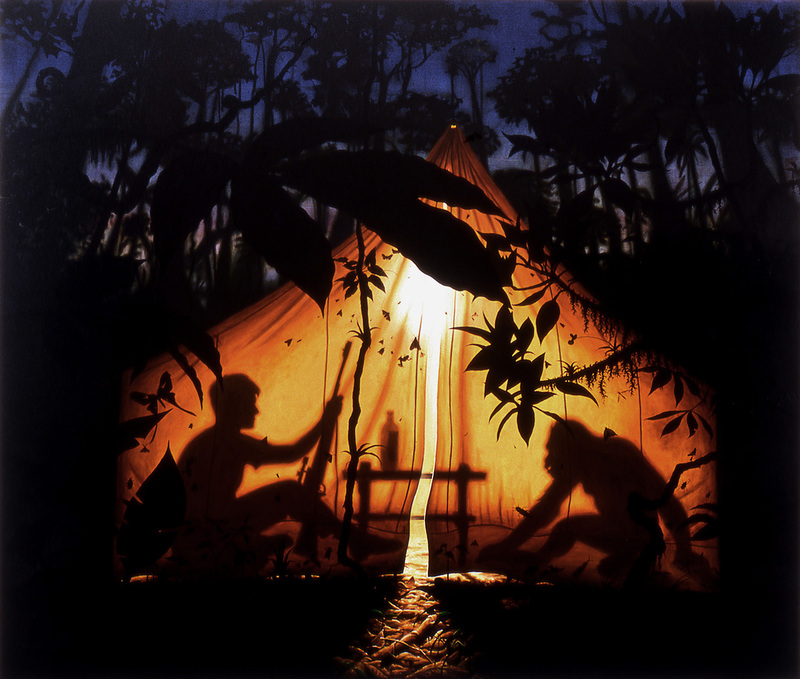 The Conversation, 2001, oil on wood, 72 x 84 in. 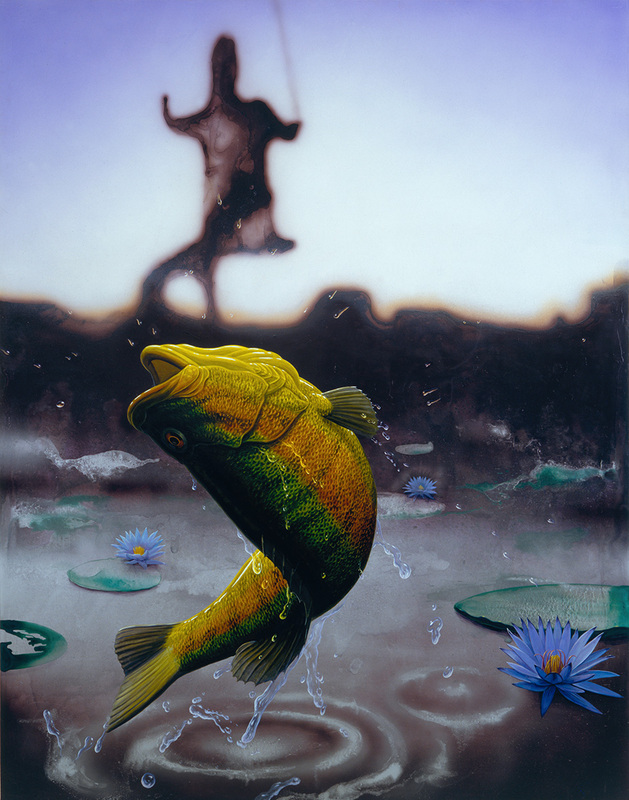 Fishing, 2000, oil on wood, 84 x 72 in. 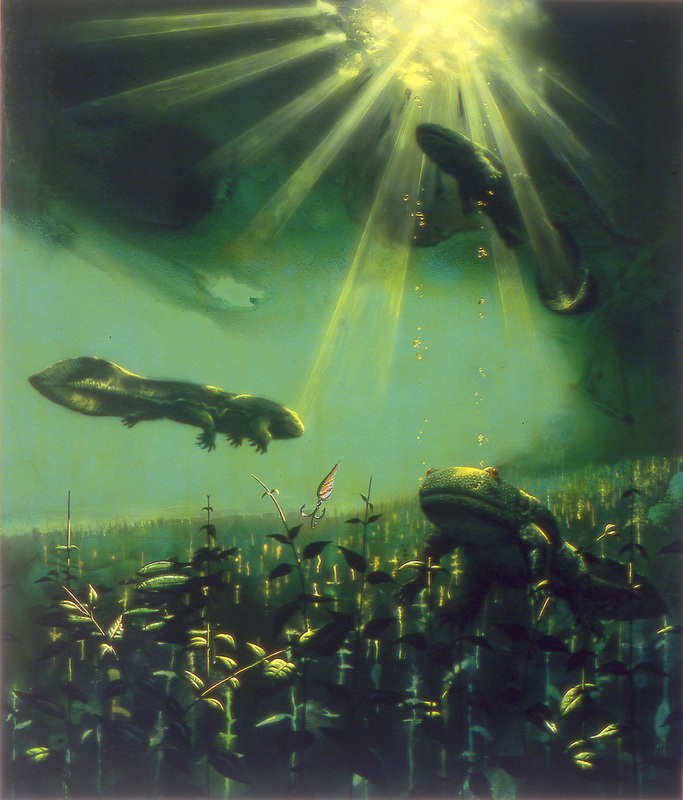 Gymnorhamphichthys bogardus, 2001, oil on wood, 84 x 72 in. 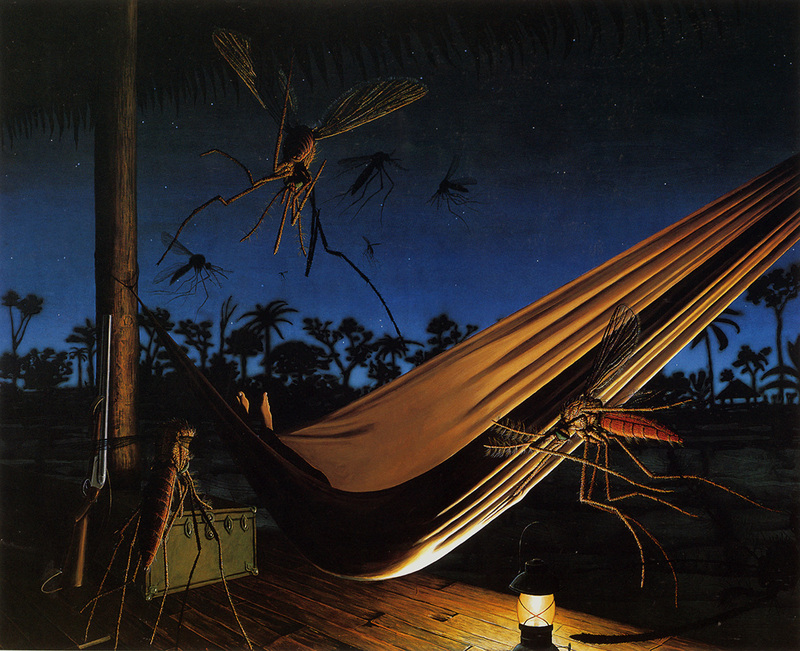 The Hammock, 2000, oil on wood, 60 x 72 in.